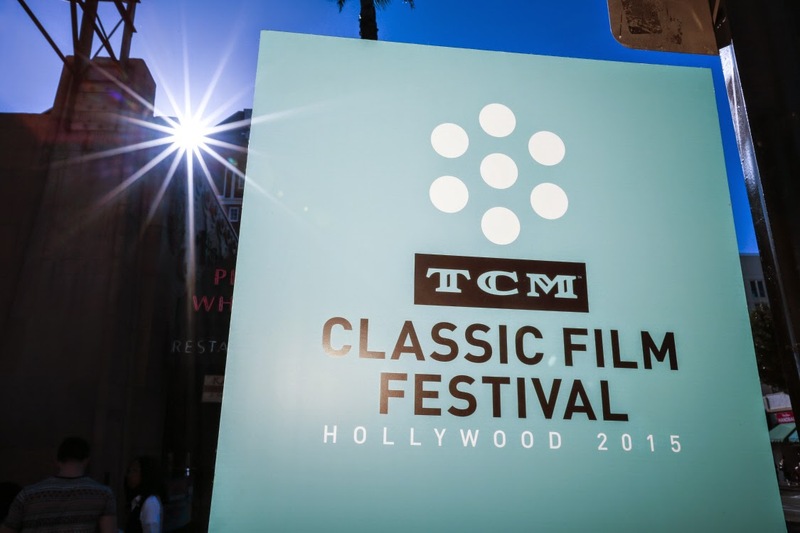 The 2015 TCM Classic Film Festival officially began on Thursday, March 26th, but I had an extremely full day of pre-festival activities scheduled on Wednesday the 25th. Wednesday began bright and early meeting my longtime friend Raquel for breakfast at her hotel. Raquel, one of the online friends I've known the longest, was the first and last person I saw at this year's festival, and our time together was a wonderful way to start off the fun. Next it was time to meet up with Aurora, Annmarie, and Kellee at the Hollywood Roosevelt Hotel, where we picked up our media passes. I had spent the preceding Sunday with Aurora and Annmarie -- more on that in the future -- but it is always so great to see them, and I was delighted to see the always-smiling Kellee for the first time in nearly a year! We then headed over to The Hollywood Museum. (Thanks again to Annmarie for sharing her extra ticket!) It was my first time to tour the museum, and it was fun to finally see it. ...and a tribute to Tyrone Power, including one of his costumes. In the "small world" department, Aurora happened to learn that the front desk receptionist in the museum is the daughter of longtime Western character actor Leo Gordon; she maintains a public Facebook page honoring her father's career. I was able to tell her how very much I have enjoyed his work, starting with his appearances as Big Mike on MAVERICK and then in so many other Westerns, and she seemed happy to hear that people still remember and appreciate her dad. Soon it was time to meet up with my husband and my good friend Kendahl, aka KC, who flew in from Seattle that morning, and catch up over lunch at 25 Degrees in the Hollywood Roosevelt. Then it was off to the media press conference in one of the Chinese multiplex theaters. The press conference was a different format this year due to the absence of Robert Osborne, with Ben Mankiewicz and TCM execs Jennifer Dorian, Charlie Tabesh, and Genevieve McGillicuddy taking the stage together rather than the hosts appearing separately. 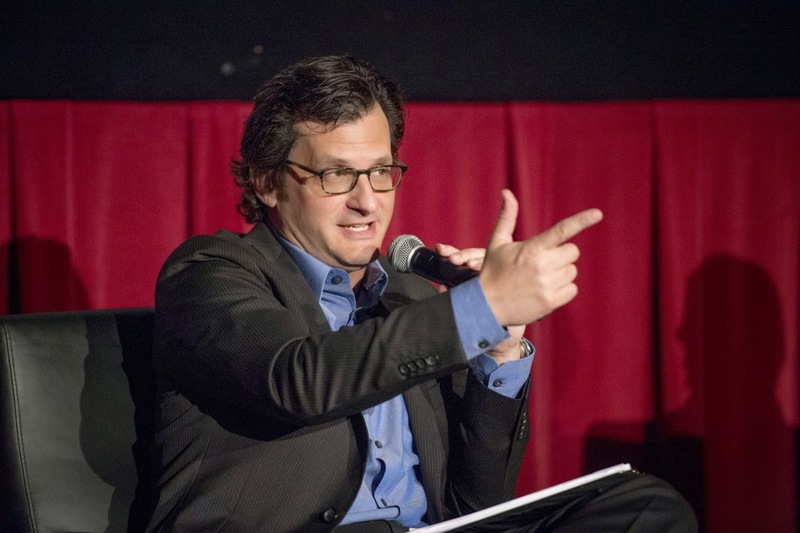 Mankiewicz said that every year it becomes more clear that no other channel could host an event like the festival; he said there is a connection between TCM and its fans which is "felt viscerally" and that movie fans "don't just watch us." He feels TCM has an important responsibility to help guard the visual arts. 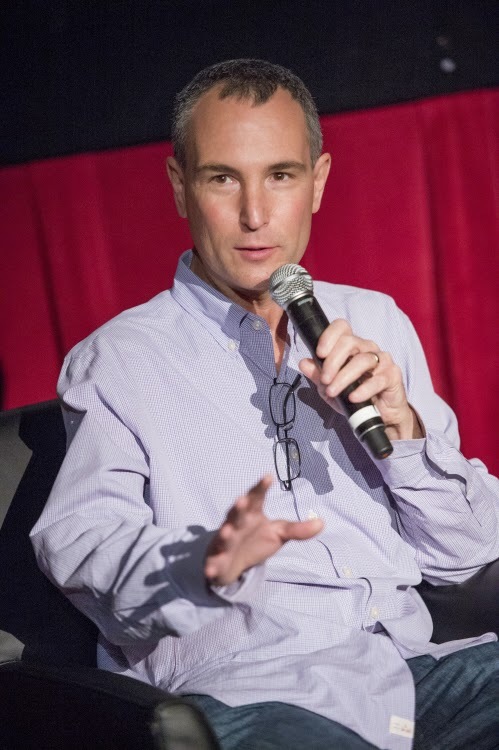 One of the more contentious topics, at the press conference and elsewhere, was the inclusion of more "new" movies such as OUT OF SIGHT (1998) at this year's festival, and indeed, on the channel in general. 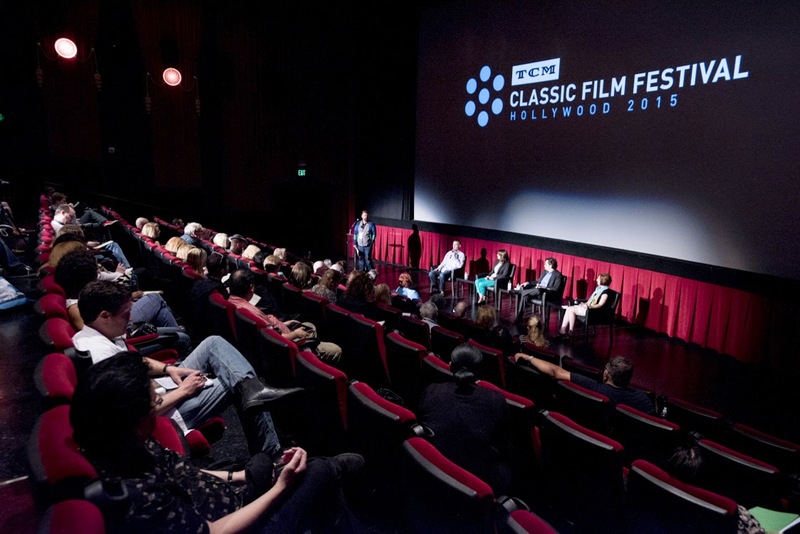 Tabesh asserted there is "no cutoff year for classics" and pointed out that TCM shows such films in a particular context; in the case of OUT OF SIGHT, it was part of a festival tribute to editor Anne V. Coates. I understand Tabesh's point, and that newer movies might also be a way to attract new viewers for the channel, but if I can add a personal note here, I think it's important for TCM not to "dilute the brand" and to remember that many of the newer movies they have recently shown can be seen on countless other channels. Hopefully TCM will not lose sight of what makes the channel truly unique. 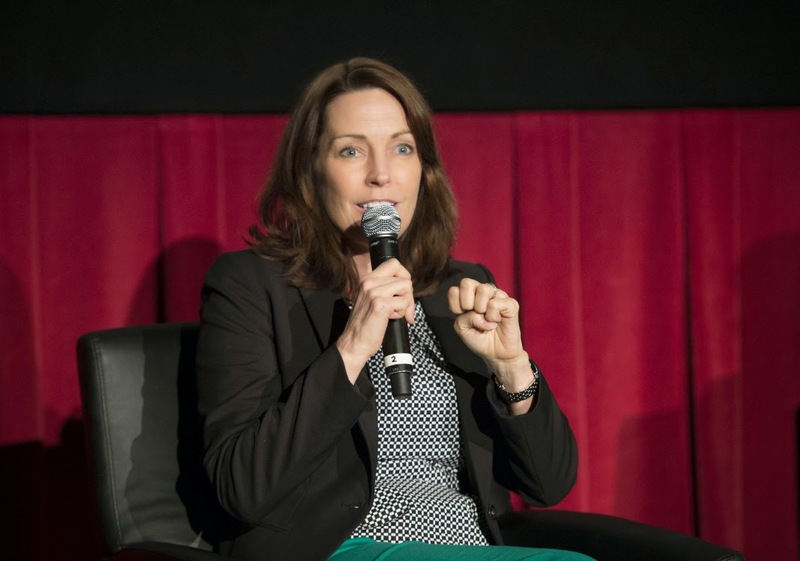 On a positive note, I liked the way Jennifer Dorian referred to "onramps" such as the Essentials Jr. franchise and their nationwide Fathom theatrical screenings as a way to attract new viewers to TCM and classic movies. Dorian also mentioned that TCM is currently "researching" what it might do with streaming platforms in addition to their Watch TCM app, but there are no plans to announce at this time. After the press conference I took a few minutes to check in at the Hollywood Celebrity Hotel. Last year I spent one night at a hotel, so I could avoid Friday morning commuter traffic, but this year I spent the entire festival at a hotel; having done that, I don't plan to go back to commuting in the future! It made the festival so much more enjoyable staying just a couple minutes' walk from the festival venues. No more midnight drives home or struggles through early morning traffic in time to make the first screening each day! 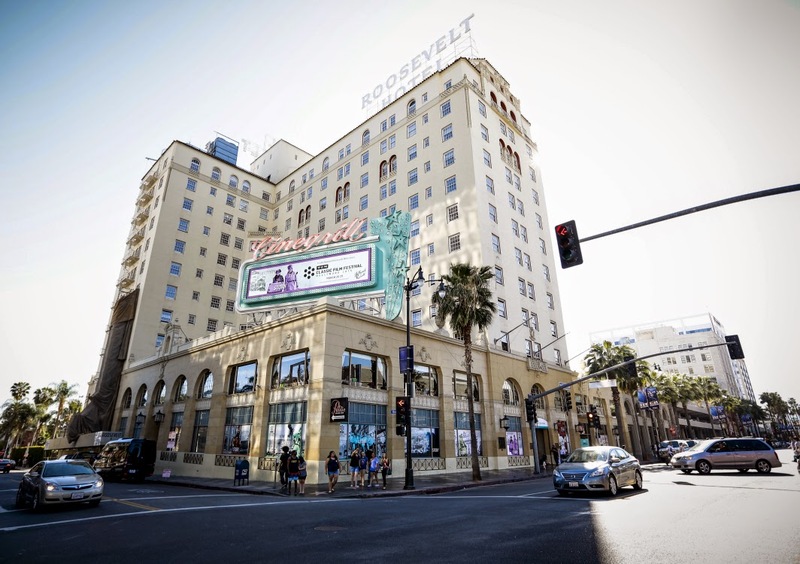 Kendahl and Casey were terrific roommates, and the Hollywood Celebrity, while an older building, was extremely clean, with a high-quality bed and very friendly staff, while being more affordable than other local options. I plan to make reservations there again as soon as the 2016 festival dates are announced! My day was only half done at this point! Next up was a jaunt to Burbank for a terrific tour of the Warner Bros. backlot, generously hosted by Matt Patterson of the Warner Archive; I attended it with Raquel, Kendahl, Jessica, and Jill, along with my husband, Raquel's husband, and Jessica's parents, who traveled with Jessica from North Carolina for their first-ever visit to the festival. It had been many years since I last toured the lot, and we had the opportunity for some unique behind-the-scenes peeks at various sets, with amusing running commentary from Matt -- and what fun to do that with such wonderful friends! I'll be sharing photos of the backlot tour in a separate post. My roommate Casey's plane from Virginia had been delayed due to a bird strike -- fortunately it occurred while the plane was still on the ground! -- but she was able to join us for a festive dinner at historic Miceli's, which is featured in a favorite Jacques Tourneur film, NIGHTFALL (1957). Then it was off for the annual bloggers' reunion at the Formosa Cafe. We completely filled the back half of the Formosa; it was packed and crazy loud but so much fun greeting so many friends once more! The festival truly feels like a very happy family reunion. And to make things even better, Matt brought along some Warner Archive gifts for the assembled bloggers; I was happy to bring home a favorite Robert Montgomery film, THREE LOVES HAS NANCY (1938). My day ended greeting Kristina at the Hollywood Celebrity Hotel when she checked in around midnight! Kristina had journeyed from Canada for her very first visit to the festival, and it was fantastic being able to meet in person at last and enjoy so many movies together. I've been juggling posting with getting back to work, so if I haven't yet come across your festival post and linked to it above, feel free to add it in the comments! There's much more festival news to come, including overviews of the following days and individual reports on the various movies seen. As more posts go up, the links to my coverage of the festival will all be found at The 2015 TCM Classic Film Festival in Review. As the saying goes, stay tuned! Thanks for the great write-up of your first day at the Fest, Laura - and also thanks for all the links to other bloggers' posts! Lots of great info and pics...helps make up for not having been there. I too am tempted to find lodging for next year after finding that even taking the bus and subway to and from my apartment just west of downtown was a hassle. 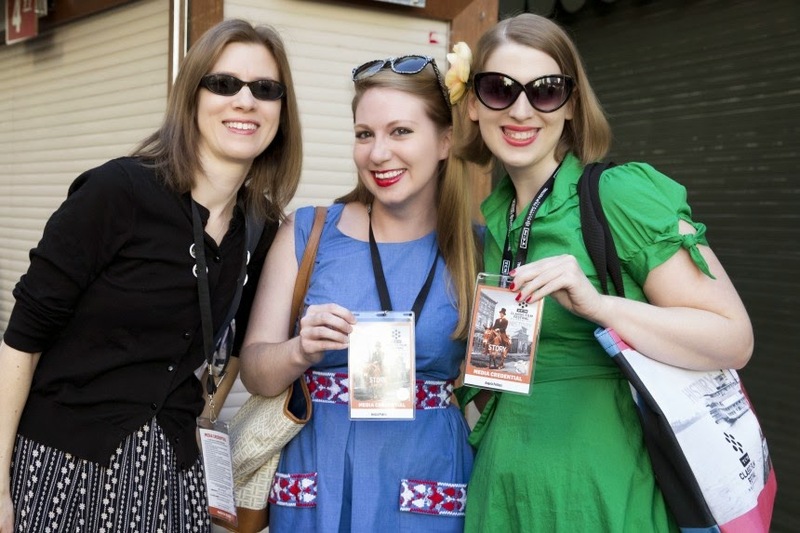 But boy, the TCMFF was fun -- and I was pleased to finally meet you! Wow what a full day! I'm so glad you were the first and last person I saw on my trip and that we had a chance to hang out together. Thank you all so much for the wonderful feedback! Jeff, I hope you can attend one day. :) Glad to know you've been enjoying my accounts as well as the terrific reporting by other bloggers. Vince, it was nice to meet you last weekend. Raquel, it really was special having those "beginning" and "ending" moments together! What a special time.